To enable or disable Remote Assistance connections to Windows-7 Computer, please open the "System Properties"! 1. Please open the "System" in Windows-7 (Image-1). In the "System" Click "Remote Settings". (IMAGE-2). INFO: If you are prompted for an administrator password or confirmation, type the password or provide confirmation! Click an option and then specify who can connect, if needed. Windows-7 - FAQ-26: How to allow/disallow Remote Assistance connections to Windows-7 PC? Cannot uncheck don't allow connections to this computer ? Allow remote assistance connections to this computer is disabled? How to enable windows remote assistance on win 7? In windows 7 ultimate, how do you disable remote computer? Allowing media programs on a PC and remote connections? Disable the password for windows remote assistance? Regedit win 7 allow remote assistance connections to this computer? windows remote assistance with no login? msn remote assistance windows 7 starter? remote assistance Windows 7 Ultimate? Allow remote assistance connections to this computer? How to open a remote assistance connection on windows 7? Allowing remote assistance connection windows 7? How enable Allow Remote Assistance Connections to This Computer option? How to remove remote assistance in a computer for windows 7? How to change allow remote assistance connections to this computer in registry? Windows server 2012 allow remote assistance connections to this computer? Don't allow connections to this computer is disabled? Windows 7 not allowing remote assistance connection? 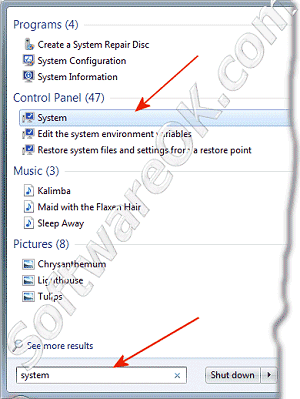 how to disable options in windows remote assistance win 7? Windows 7 remote assistance authentication? Disable remote assistance windows 7? Only remote assistance in system properties? Windows 7 allow remote assitance? How to enable remote assistance in windows 7? Allow remote assistance helper w7? Allow remote assistance windows 7? Disable remote assistance in windows 7? 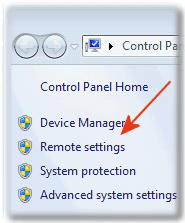 windows 7 remote assistance HOW TO DISable? 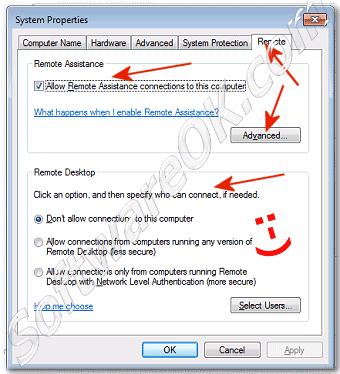 allow automatic remote assistance windows 7? disable password login remote desktop connection windows 7? turn off remote assistance windows 7? how to enable windows remote assistance 7 64 bit? allow remote assistance connection to this computer? how to enable remote assistance in win 7? windows 7 disable remote assistance? windows 7 ultimate Allow connections to this computer? allow remote assistance connections to this computer win2008? it is safe to have remote assistance in Windows 7? remote assistance windows 7 enable? don't allow connections to this computer? allow connections from computers running any version? remote assistance 7 without confirmation? How to enable remote assistance option in windows 7? How to enable remote assistance connections to this comuter on win 7? disable Allow Remote Assistance connections to this computer? HOW TO DO A REMOTE ASSISTANCE CONNECTION IN WIN 7? how to disable windows 7 remote assistance? what settings allow or disallow remote assistance on windows 7? Unable to Allow Remote Assistance Connections to This Computer option? How to enable remote desktop in system property in windows 7? How to prevent anyone from connecting to my PC using Remote Desktop or RemoteApp. How to disallow connections from other computers running any version of Remote Desktop? Can I allow people using any version of Remote Desktop or RemoteApp to connect to Windows-7 computer. Enable remote assistance windows 7? Connect remotely to my computer? Remote assistance properties win 7? Enable remote assistance options windows 7 cmd? Allow do i need to enable Remote Assistance connections to this computer? Don't allow connections to this computer disabled? Allow remote assistence connection to this computer is disable sstate? Windows 7 can't enable allow remote assistance? Remote assistance windows 7 remove confirmation? I will connect to my computer are running Windows 7 on their computers! Remote Desktop or RemoteApp with Network Level Authentication to connect to Win-7 computer. Windows 7, Remote Desktop uses Network Level Authentication?